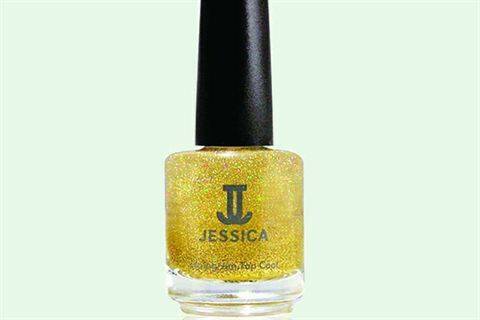 Add a shimmer to any color with Jessica’s Gold Hologram Top Coat. The Gold Hologram Top Coat prevents chipping and breaking and dries quickly to ensure a smooth-looking and durable polish finish. For more information, visit Jessica Cosmetics.